When officers arrived they found a teen that had been shot in the head. The teen was taken to Eskenazi Hospital in critical condition. 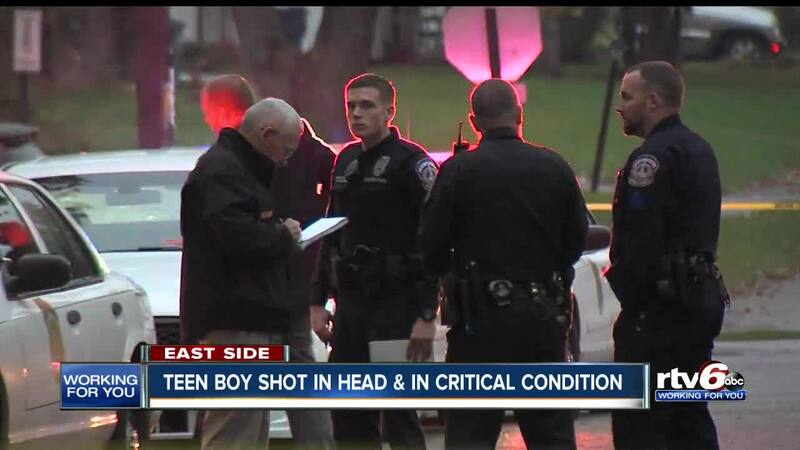 INDIANAPOLIS -- A teen is in critical condition after he was shot in the head Halloween night on Indianapolis' east side. Indianapolis Metropolitan Police Department officers were called to a home on N. Wittfield Street around 6:30 p.m. for a report of a person shot. Police are still trying to determine the circumstances surrounding the shooting. It remains under investigation by the Indianapolis Metropolitan Police Department.